The Time For Change Is Now. Are You Ready? Have you ever found yourself sitting in your office or cubicle wondering what your next career move will be, and if the path is clear to you? Your career has consisted of moves that someone else determined would be good for you and the company. Each time you took that promotion or moved your family to another part of the country, it was exciting; you felt accomplished and effective, but did you ever take the time to stop, reflect and ask yourself if it was right for you? You’ve been with your organization or working with a group of clients for weeks, months, or years and you have had no issues. Everyone seems to respect your diversity and the skills you bring, but you have been in your same role for several years now. Have you assessed what’s next, or are you waiting for someone else to define that for you? Work and life are wonderful and you’re feeling fantastic about your career. Senior leadership, based upon the most recent succession feedback, has selected you. Excitement abounds when it comes to your current assignment, which you know is high profile, as your sponsor has personally endorsed it. Above all, you have the knowledge, credentials, mentors, and support you need to move forward and up at a fast pace. Have you taken the time to assess what may be different and how it may impact you if your sponsor leaves or falls out of grace? Is your success making you too busy to nurture your network should the skills needed, direction of the organization, or your assignment unexpectedly change? The company’s profits are down, leadership has changed, and the people strategies are beginning to tighten, so you haven’t gotten that executive development you desire to hone your skills. You also find your total compensation hasn’t grown the way it has in the past, and, with the installation of relative ranking and the many other new requirements now in place, you’re feeling stagnant. The easy thing to do is to wait until it gets better, change happens, or someone taps you on the shoulder. Another option is to become proactive in assessing your situation to determine your next steps. If you have found yourself in one of these scenarios, it’s time to get a life plan that puts you first, seizes the opportunity and freedom to make your own choices, and define your future for yourself. For years, people coming for mentoring or coaching would eventually get into a conversation about the length of their assignment; the fit or satisfaction. Reminding them that all assignments and employment are temporary was the first order. Make the best of where you are at the time, and build a plan to take all that you can away from your current role. A young woman asking for mentoring and support in getting through her yearly evaluation was unsure about her manager. She wanted to build a plan, but was concerned about how her manager would respond to this. If a manager doesn’t support one being proactive in controlling his or her career, he or she is working for someone who is insecure. A strong leader will appreciate that you are thinking about your skills and your next move whether that be up, inside, or outside of your organization. Not all change is good or bad for us individually, and not all should be embraced or thwarted. We need to know how to recognize impending change and evaluate its ultimate impact on us. 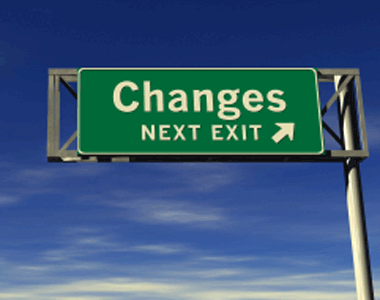 Change is hard regardless of who or where you are, but is necessary to grow organizations, business, and people. Embracing change is inherent in diversity and inclusion. but more importantly, understanding, accepting, and leveraging difference. So how do you evaluate your current situation to ensure that you’re where you need to be? Have you asked yourself if your values are still aligned with where you are? Most companies espouse their commitment to diversity through their corporate values, but one must evaluate how those values show up within that organization through reputation, environment, and other implicit measures of success. What is the next chapter in your career, and are you ready to embrace it? You must be ready to take hold of your personal career and life plan, ensuring that you are in a place that respects who you are and the difference that you bring.